Clio is Muse of history, her 'cosmetics' the adornments of rhetoric. Peter Wiseman's influential book, first published in 1979 and now for the first time in paperback, concerns the writing of history during the first century BCE, when Rome was in process of becoming the centre of the Greek, as much as her own, literary world. Historians, trained in the schools of rhetoric, prized elegant plausibility above the empirical objectivity we expect of them today. Legend and history intermingled; history and poetry overlapped.This study divides into three distinct parts. The first treats the problems that arise from reading first century history as if it were written by modern, non-rhetorical standards. The second examines the pseudo-history of the gens Claudia, fabricated during the first century and transmitted to us by Livy and Dionysius of Halicarnassus. The third discusses Catullus' dedication of his poetry to the historian Cornelius Nepos against the background of the two authors' common intellectual heritage. The book represents a significant contribution towards an appreciation of ancient historiography and Roman culture. History is viewed here as rhetoric, as myth-making, and as poetry. Peter Wiseman is Emeritus Professor of Roman History at Exeter University and a Fellow of the British Academy. He came to Exeter in 1977, and was Head of Department from 1977 to 1990. Although he retired in 2001, he is still involved in graduate teaching at both MA and PhD levels. ‘I've been obsessed with the history and literature of Rome for nearly half a century’, he says. Among the results of that obsession have been books on Catullus (Catullan Questions 1969, Catullus and his World 1985), on Roman political history (New Men in the Roman Senate 1971, Flavius Josephus: Death of an Emperor 1991), on Roman historiography (Clio's Cosmetics: Three Studies in Greco-Roman Literature 1979, Historiography and Imagination: Eight Essays on Roman Culture 1994), and on Roman myth and legend (Remus: a Roman Myth 1995, Roman Drama and Roman History 1998). Reviews of T.P. Wiseman books include the following comments: 'quite simply brilliant' (Times Literary Supplement), 'enthralling' (London Review of Books), 'stylistic elegance and wit, dazzling erudition and imaginative flair' (Classical Review), 'exceptional analytical skill and creative imagination' (Bryn Mawr Classical Review). Should stimulate, entertain and enlighten anyone who wants to know something about ancient historians. 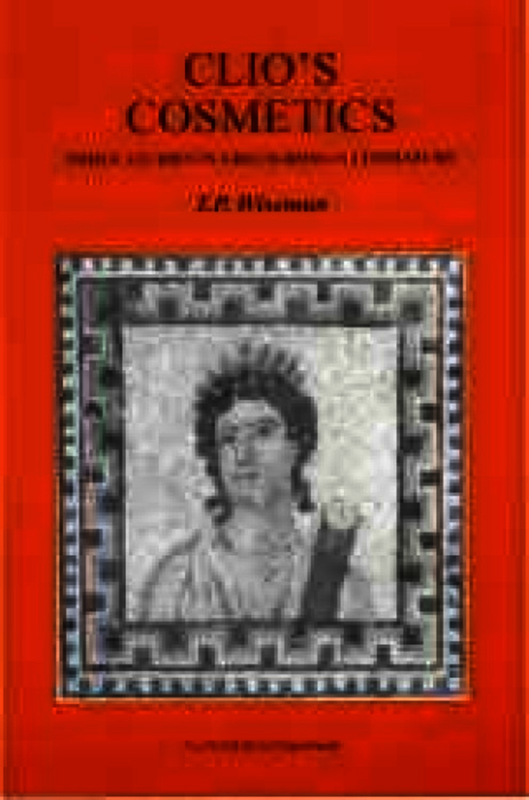 Clio's Cosmetics is an intelligent and provocative book about historical writing in the Roman Republic. It is acute and well-written, and has important things to say. The general reader will learn a lot from this book, which can be enjoyed without a great knowledge of Latin ... Republican Rome, the period of which he (Wiseman) has shown himself the best intellectual historian now writing.